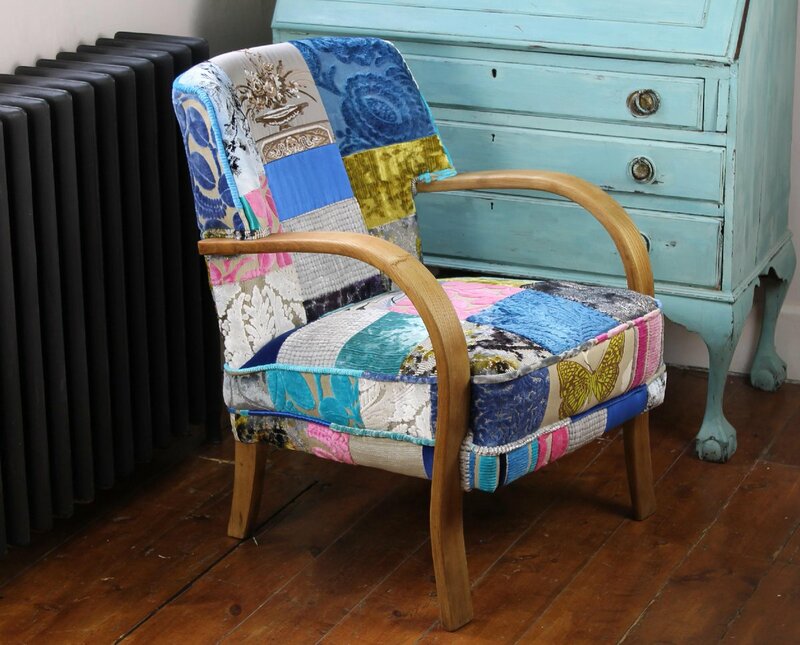 An iconic vintage Gplan chair – ‘The world’s most comfortable chair’, also known as the Blofeld chair as seen in the Bond movie ‘You only live twice’. 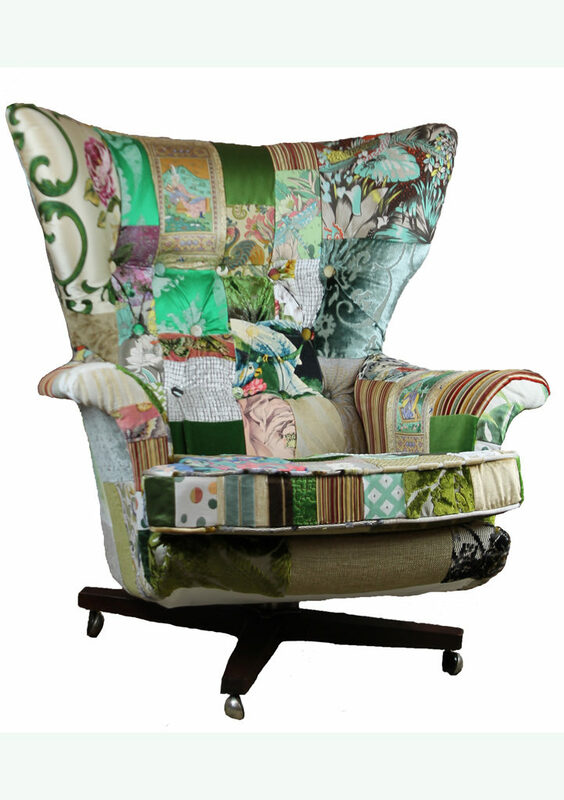 Deep buttoned back with swivel and tilt base mechanism. 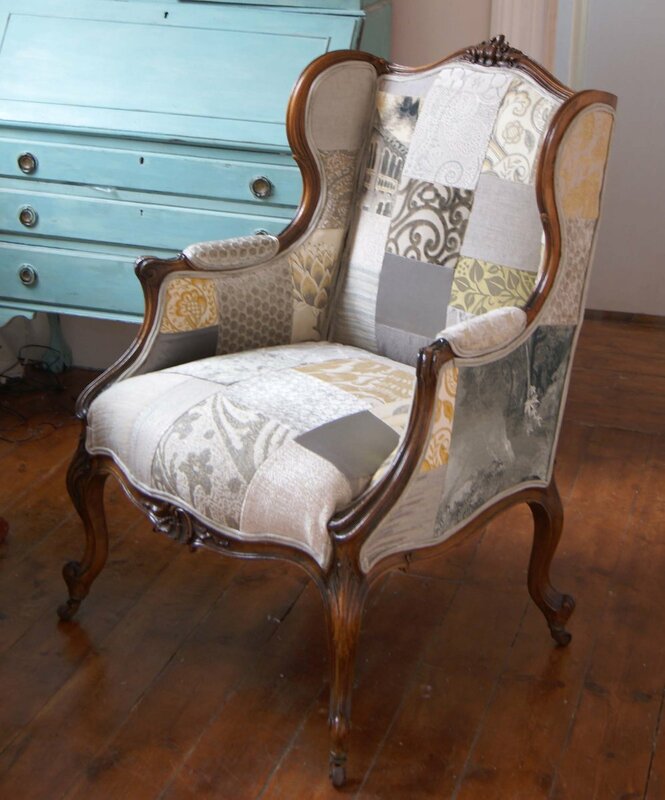 We’ve reinvented this classic chair in a warm and subtle mix of tones with stunning patterns and textures. 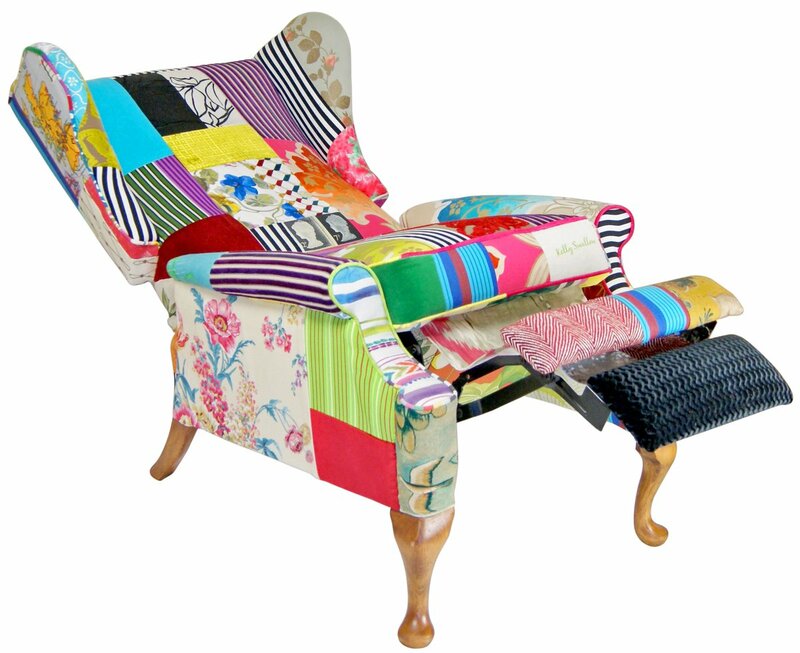 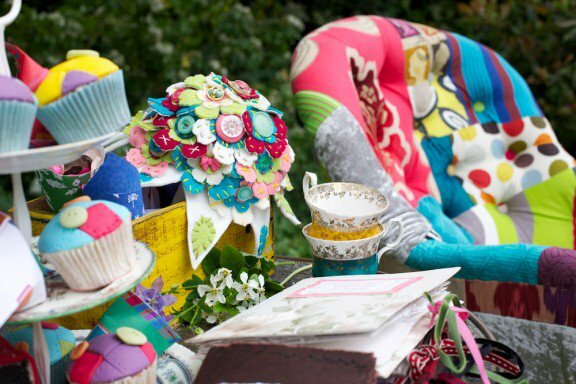 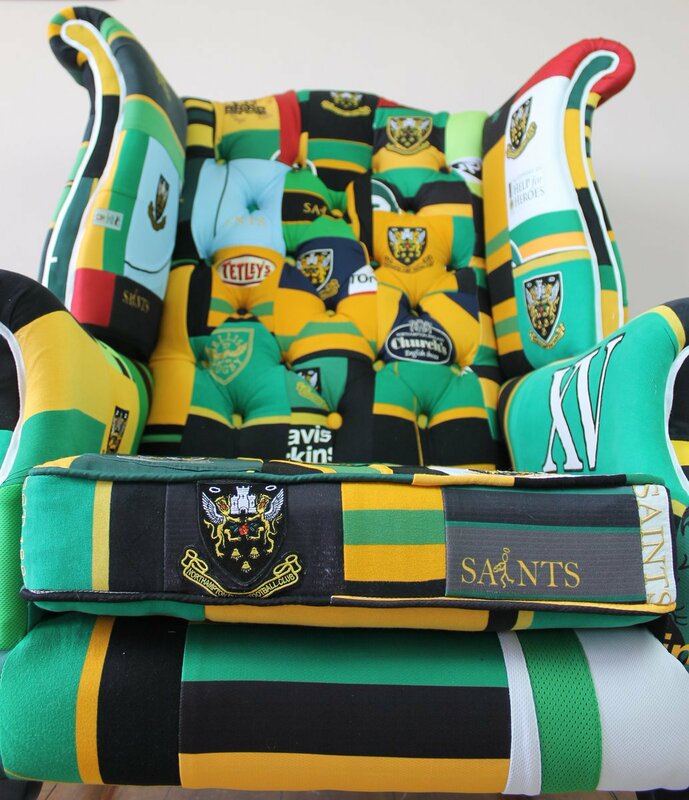 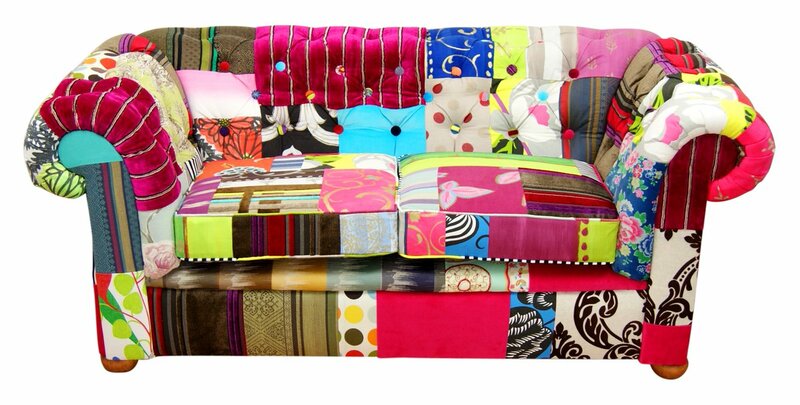 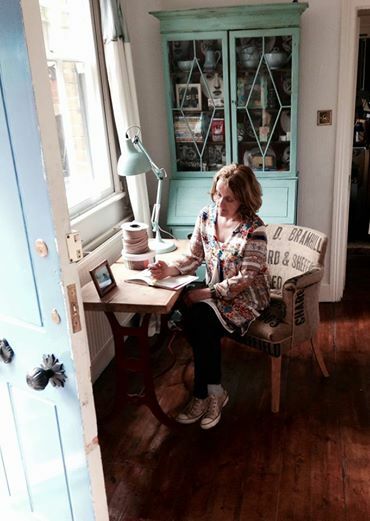 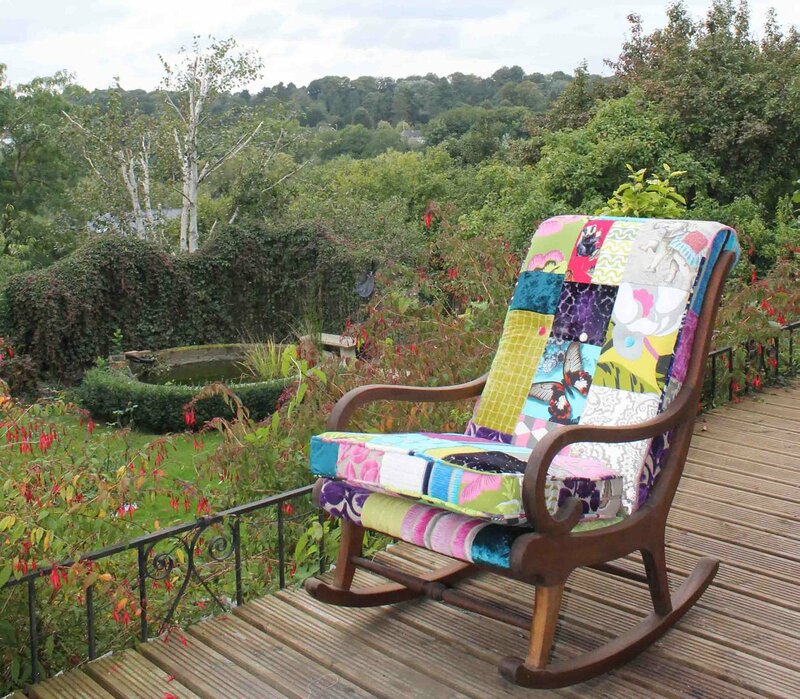 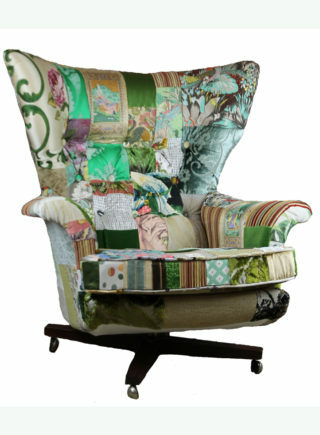 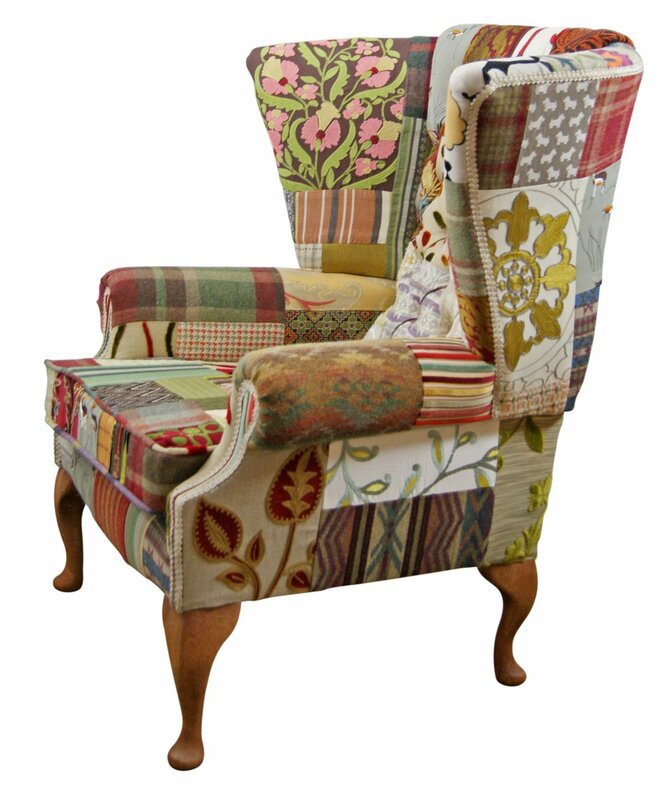 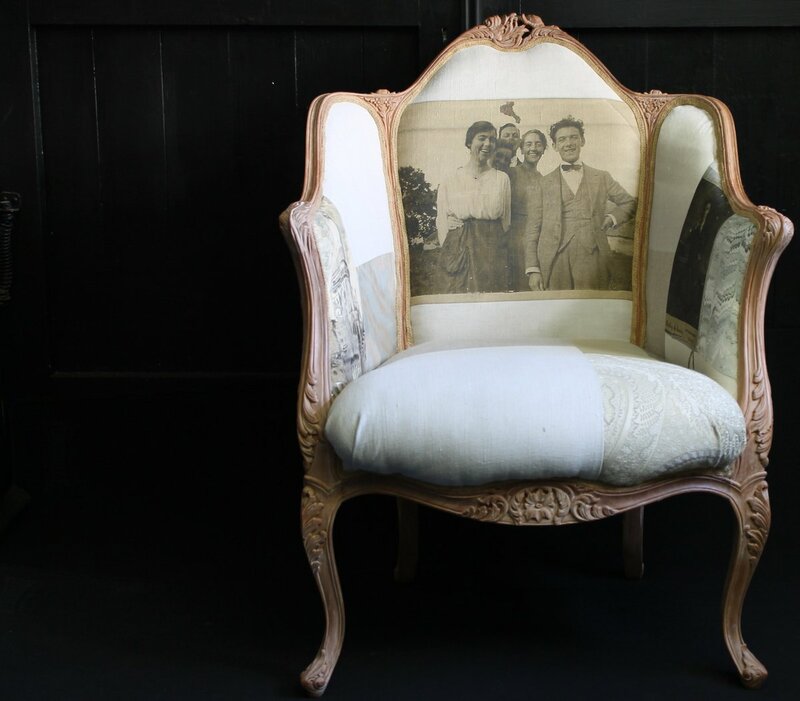 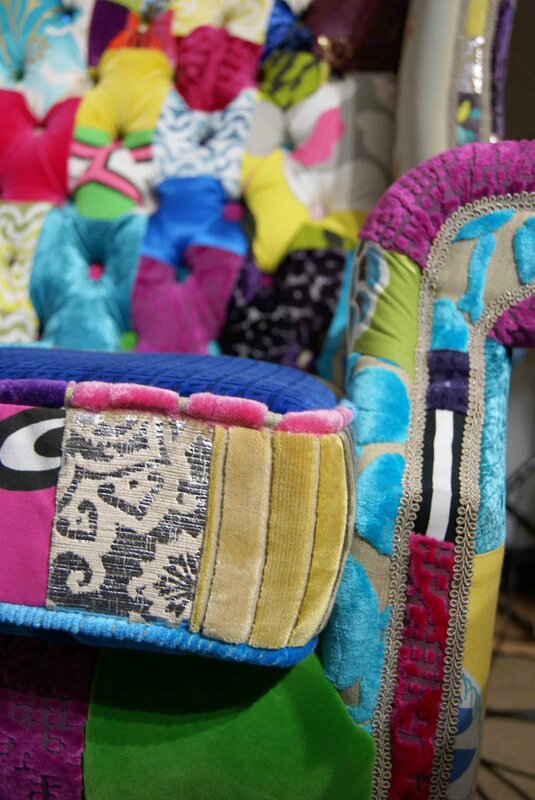 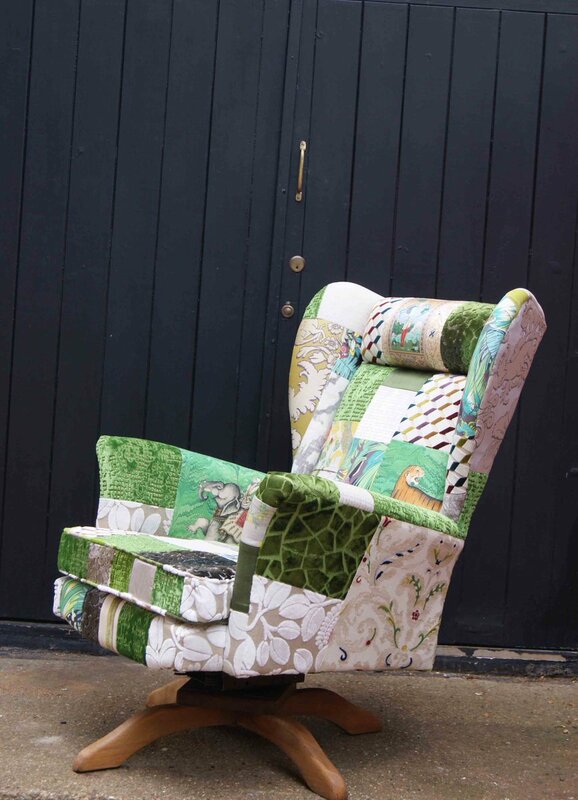 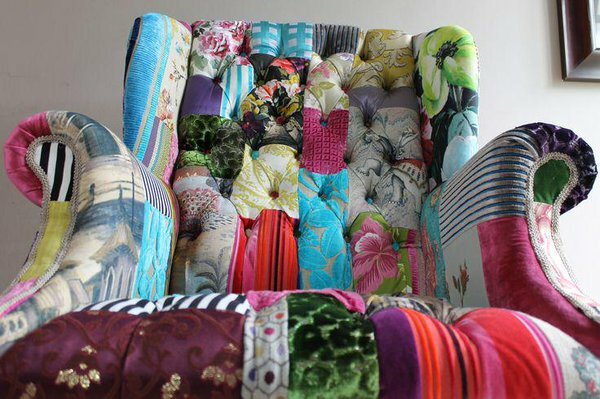 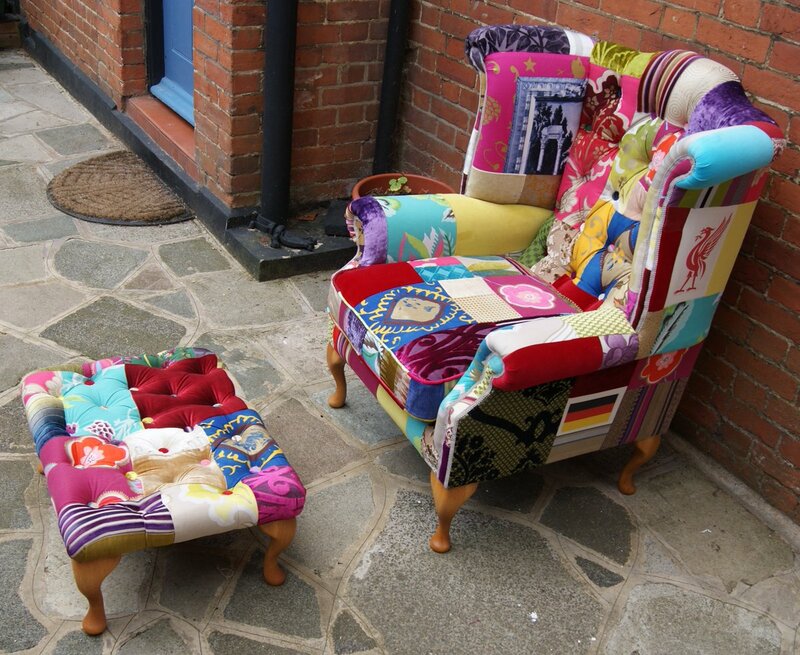 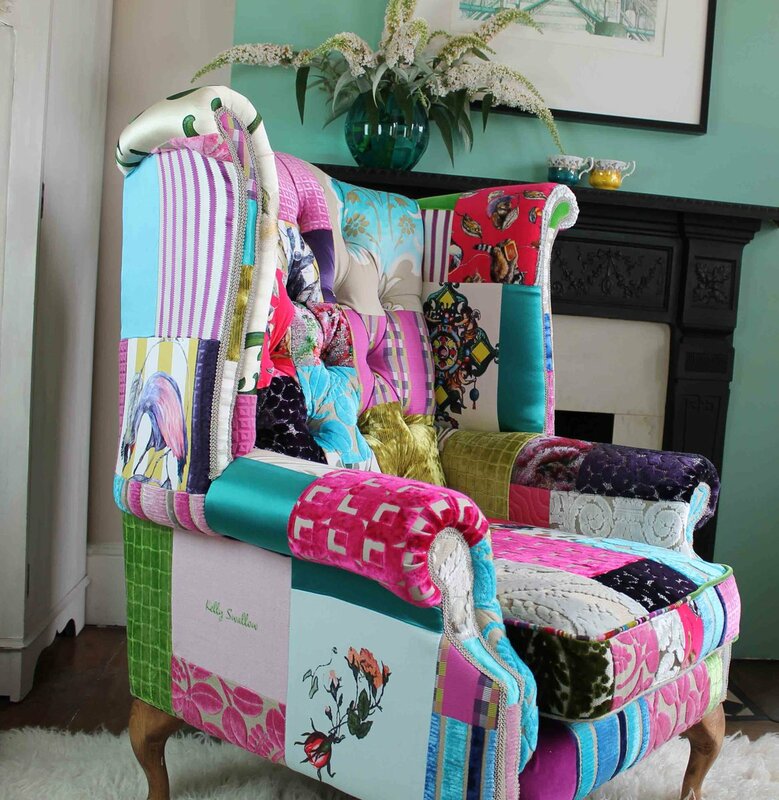 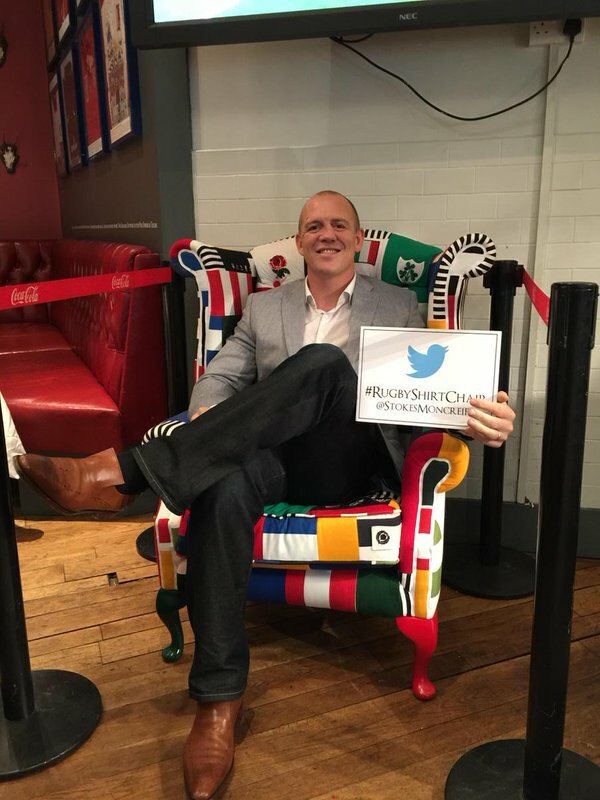 We would love to source a similar style chair for you – we can design a bespoke patchwork in your choice of colours and patterns – you will be completely involved at every stage so will have the opportunity to input in creating your unique chair.